Beveridge & Diamond welcomes Susan Smith and Kate Tipple to our San Francisco office as a Principal and Associate, respectively. They add to the firm's formidable capabilities in the toxic tort and environmental litigation arenas. Susan Smith, a California native, has a national practice defending companies in tort and environmental claims including with respect to emerging tort theories related to waterborne contaminants. From nearly twenty years of federal and state courtroom experience, she understands how to integrate science with litigation strategies surrounding chemical and toxic exposures. Susan also defends companies before regulatory authorities and in investigations and helps clients navigate incident response and cleanup with a focus on minimizing the threat of future litigation. Managing Principal Russ LaMotte, said "We are pleased to welcome Susan to the firm. 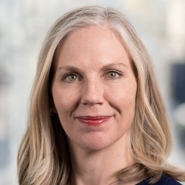 She is an accomplished trial and appellate lawyer who brings deep experience in toxic torts and environmental contamination, particularly water issues, and she will enhance our already strong toxic torts practice." Prior to joining B&D, Susan was a part of the Baltimore office of a national law firm where she was a leader in the Toxic Tort practice. She is admitted to practice in Maryland, Pennsylvania, and Washington, DC, and will reside in our San Francisco office and become admitted to practice in California. Until she is admitted in California she will not practice on California matters except under supervision from principals of the firm who are admitted in California. 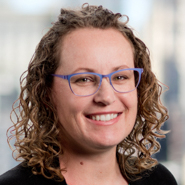 Kate Tipple, also a California native, focuses on civil litigation with an emphasis on federal environmental regulation and water law. In addition to her undergraduate degree from University of California, Los Angeles, and her law degree from the University of Utah S.J. Quinney College of Law, where she served on the Law Review, she holds a Masters in Environmental Management from the Yale School of Forestry and Environmental Studies with a concentration in water science, policy, and management. Prior to joining B&D, Kate worked in the Litigation, Trials & Appeals practice of a major Utah-based firm. Kate is currently admitted to practice in Utah. Kate will become admitted to practice in California and similarly will be practicing under the supervision from principals of the firm admitted in California.